Five years after the 31st Dáil was elected on the backlash of the property crash, housing remains one of the most contentious issues in the run up to General Election 2016. Different housing approaches have been taken over the course of the state’s existence, with each holding specific benefits and downsides to its social stakeholders. Historically, private home ownership has largely been promoted as the ideal housing solution, with former Taoiseach John A. Costello describing home ownership as giving people ‘a stake in the country’, and amounting to ‘good business nationally and socially’ (Norris and Redmond, 2005, pp. 18, 26). A previous article on this website has argued against the continuation of state-endorsed private ownership of housing owing to the ‘ghettoization’ it has the potential of inducing, posing the risk that individuals who would not normally be able to afford a house on the open market end up purchasing a house through Local Authority discounts or through government assistance (mortgage interest relief, stamp duty cuts). The risk of such a policy approach is that those home owners are less able to financially afford the upkeep of their housing, leading to housing dilapidation similar to that occurring in some inner city communities and council estates. It has also been previously argued by this author that maintaining rent caps and controls are not the long terms solutions required to combat rising rents and homelessness, damaging the incentives for housing construction in the private market, and contributing towards the neglect of rental accommodation by landlords. The housing debate has been compounded by a further deterioration in the homeless situation, both individualistic and structural in nature. Likewise, the difficulty for first time buyers to enter an expensive housing market, escalating rents locking families and students out of quality accommodation, social housing concerns and a distinct lack of suitable Traveller facilities are all pertinent issues in the run up to next week’s election. All parties have voiced their opinions on how to resolve the crisis, and in this article we seek to identify the most important elements of their housing policies as identified in their housing documents and election manifestos. Manifestos provide a broad party vision, and do not comprehensively engage in the finer details with relation to implementation and costings, and as such the feasibility of the proposals listed here should be questioned by the reader. This article notes in particular the party policies with regards first time buyers (FTB), social housing construction, homelessness, the rental sector and Traveller accommodation/facilities. It should be noted that some party manifestos do not provide policy approaches for all of the issues listed above. ‘The right to buy has been an important mechanism to open up the opportunity of home ownership and transferring wealth towards low income households. The option of owning a valuable long term asset has empowered thousands of families across the country’. Fianna Fáil intends to encourage first time buyers to enter the housing market by introducing a government top up to deposits on new homes. New mortgage rules brought in by the Central Bank to try to avert another housing crash requires first time buyers to pay 10% deposit on property provided the purchase price is under €220,000. Fianna Fáil are proposing to assist first time buyers reach this by topping-up deposit savings by the 25% through a special savings scheme – for instance, for a FTB taking out a mortgage of €200,000, the deposit required will be €20,000, with the amount being required by the FTB being €16,000 and a top up of €4,000 through the savings scheme. Fianna Fáil are also proposing a Right to Buy local authority scheme, to allow Local Authority tenants to purchase their Local Authority houses at a 3% discount per year inhabited up to a maximum of ten years or 30%. Additional discounts will be made available to low income households of between 40 and 60%. Moneys generated from the sales would be used to compensate Voluntary Housing Associations for loss of value, and also go towards the building of 45,000 new social housing units. 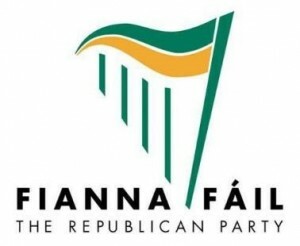 Echoing the sentiments expressed in Fianna Fáil’s housing proposals, Fine Gael also advocates home ownership, with their manifesto stating that ‘[h]ome ownership promotes strong connections to the community and supports local jobs through upkeep and renovation work’. In line with this assertion, the manifesto outlines Fine Gael’s intentions to continue their tenant purchase scheme for social housing tenants. In response to the current housing waiting list, Fine Gael state that they will provide 35,000 new social housing units, and provide support to 75,000 other households to meet their housing needs through the Housing Assistance Payment (HAP) and Rental Accommodation Scheme (RAS). Fine Gael intend to tackle homelessness by providing emergency beds and accommodation options, and providing assistance to Merchants Quay Night Café, with 500 modular housing units also being provided as emergency accommodation for homeless families. In relation to renters, Fine Gael outlines its intention to secure an (unspecified) increase in the notice period provided to tenants in relation to rent increases or lease termination, with rent reviews only taking place every 24 months as opposed to every 12 months for four years after the measure’s introduction. To read the full housing proposals in Fine Gael’s election manifesto, click here. The Green Party argue in their manifesto that the state needs to take direct responsibility in rectifying the housing shortage, to the extent that it would advocate the holding of a referendum to enshrine housing as a social right in the constitution. The Green Party proposes the amalgamation of the Housing Agency and the Housing Finance Agency to create a National Housing Authority. This Authority would be tasked with delivering 7,500 housing units per annum, delivered through open tender and managed by local authorities. Finance for the developments would be garnered through the National Housing Authority borrowing on the open market, with borrowings secured against the future income streams generated by the housing stock. Property tax would be replaced by a new tax levied at a progressive rate with relation to land’s value as a building site (Site Valuation Tax), while the Part V requirements for social housing provision would also be restored. The Green Party would seek to limit the amount by which a landlord can raise rent in any year to 7%, and amend legislation to prevent tenants being rejected solely because they are receiving rent supplement. To read the full housing proposals in the Green Party’s election manifesto, click here. Labour advocates the right to home ownership, and pledges to make ‘buying a home a realistic ambition for families’. Similar to Fianna Fáil’s policy deposit savings scheme, Labour states its intention to assist first-time buyers’ enter the property market by creating a ‘Save to Buy’ scheme, where FTB’s savings are topped up by 25% subject to a cap of €1,200 in assistance per year and a maximum of €6,000 of assistance over five years. Labour’s manifesto also commits the party to providing half a billion euro towards the development of affordable rental housing. Maximum leases of a property, currently capped at a four year maximum, will be extended (unspecified extension amount) in order to provide greater housing certainty to tenants. 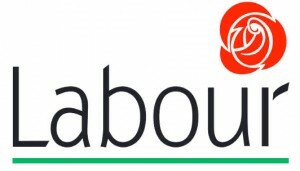 Labour pledges to eliminate long-term homelessness by working with voluntary housing associations, and through ensuring that there are enough short-term places to ensure no rough sleeping. The manifesto also commits Labour to providing housing ‘as quickly as possible’, including a commitment to 110,000 housing units by 2020, the same figure as pledged by Labour’s coalition partners, Fine Gael. However, no breakdown of this figure is provided in the manifesto to illustrate the split between direct Social Housing provision, and provision of the Housing Assistance Payments (HAP) and Rental Accommodation Scheme (RAS). To read the full housing proposals in Labour’s election manifesto, click here. People Before Profit want to declare a national emergency to enable the State to ‘access the funds needed’, and engage in building 50,000 houses over 5 years, at an output of 10,000 a year. PBP would also seek to require NAMA to hand over 20,000 of its residential stock to be used as social housing. It would also establish an Independent National Housing Agency to oversee the delivery of ‘safe and culturally appropriate Traveller Accommodation’. PBP would introduce rent controls linked to the Consumer Price Index, and prohibit the rejection of rent allowance by landlords. To read the full housing proposals in People Before Profit’s election manifesto, click here. Renua sees the state’s main role in the housing market as that of a ‘regulatory regime that can generate a base of affordable housing stock for its citizens’. In response to the current housing crisis, Renua advocates the use of pension fund and private investment to finance housing developments in conjunction with Local Authorities, with LAs ‘continuing to manage these developments while pension funds and investors receive stable, long-term income flows’. Renua oppose the introduction of rent controls, such as rent-caps, arguing that such controls will ultimately weaken the incentives for developers to build, and damage supply. Renua argue that homelessness is largely the result of ‘domestic violence, addiction, sexual abuse, mental illness and institutionalisation’. In response, Renua propose mandating Local Authorities to ensure a ‘network of supports are made available to enable all those who want to live a full life are provided with avenues to achieve this goal’. To read the full housing proposals in Renua’s election manifesto, click here. Sinn Féin’s manifesto commits the party in government to authorise the building of at least 70,000 social housing units and another 30,000 cost purchase and cost rental housing units by 2030. It also proposes to ‘increase requirements under Part V to 20% social and affordable housing on all new developments with 10% social and at least 10% affordable housing’. Sinn Féin advocates linking rent increases with inflation rates in order to ‘create rent certainty’, and establish a Deposit Retention Scheme to hold private tenancy deposits until the conclusion of tenancy agreements. Sinn Féin’s manifesto promises to allocate €30 million to Local Authorities and homeless agencies in their first year in government for emergency accommodation. Local Authorities who refuse to provide needed Traveller accommodation will also be subject to penalties, with funding frontloaded to Local Authorities with a track record of providing Traveller accommodation. The party also pledges to increase funding for domestic violence refuges by €5.45 million in their first year of government. To read the full housing proposals in Sinn Féin’s election manifesto, click here. The Social Democrats advocate the creation of a new Department of Housing Communities and Planning with a Minister at full Cabinet level to replace the current Housing Agency. This new department would be tasked with liaising with the Private Sector, Local Authorities, NAMA, Housing Bodies and the Co-operative to deliver housing and provide long-term planning. Increasing Rent Supplement and HAP limits would be a short term response to help alleviate homelessness, while the Social Democrats, showing similarities to Sinn Féin’s proposals, would chose to link future rent increases in areas of high rental inflation to the cost of living. To read the full housing proposals in the Social Democrat’s election manifesto, click here. Norris, M. and Redmond, D. (eds. 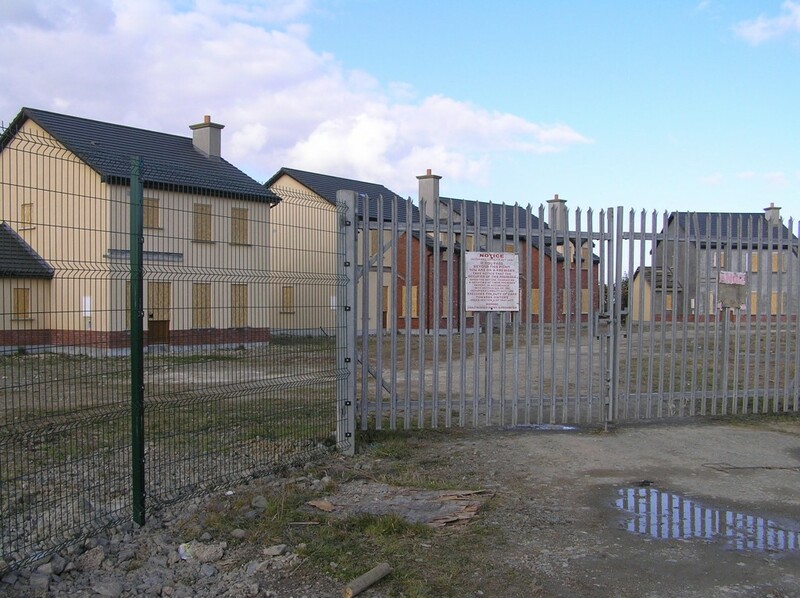 ), (2005) Housing Contemporary Ireland. Dublin: Institute of Public Administration.